Arizona has a number of free programs for children. Summer programs provide children with extracurricular activities when they are not in school that allows them to keep up on their education and learn new skills. But, many of these programs require a fee that a lot of parents cannot afford. 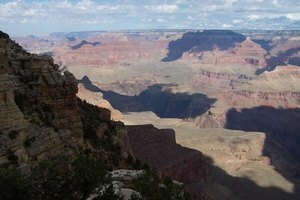 Arizona has a number of free activities for children during the summer. These programs range from art to theater to retreats for families. The Multicultural Arts Camp is free and open to children of all ages who are involved in the programs with whom the camp interacts. Children will learn a variety of art forms, including painting, Asian arts, puppetry and Chicano arts. These workshops are run by volunteers who are either experienced in these areas or who have come from similar backgrounds as the children have. The goal of this camp is to provide children with an opportunity to interactive with other children, learn compassion and learn to succeed via creative methods. The ratio of children to adults is three to one. Free Arts of Arizona offers free summer programs to children who have been abused or neglected or are homeless. The program partners with group homes, shelters and treatment centers throughout Maricopa County, Arizona. The Theater Camp allows children within these partner programs to learn about the theater arts. The camp is for four weeks. Activities include theater warm-ups, learning acting skills, rehearsing plays and learning how to work with others. Children will also learn how to design sets and learn about theater production. Arizona Camp Sunrise offers free week-long summer retreats to children who have had cancer. This camp is open to children ages eight to 16. The children will stay at a camp in Payson, Arizona. The camp is geared towards children with special needs due to their cancer. It allows children to meet other children who have similar experiences. Children can take art, crafts, cooking and theater classes. They can go horseback riding, make friendship bracelets and take a trip to a nearby lake. A dance also takes place for the children. What Do Married Couples Do for Hobbies?